Traditional B2B marketing was about awareness. Digital marketing is about attraction. We no longer can afford to focus on a large, undifferentiated audience. We want — and need — to speak to those who are predisposed to listen to us. That means we need to know about them. Know about their interests. This way we can talk directly to them. Personalization has come to marketing in ways that were never possible with ads in trade publications. If marketers could truly have a one-on-one conversation with every prospect, they would. Staffing that type of marketing organization would be a problem to scale, even if you had the ability to manage all the data for every single person. It turns out that the data is the easy part. It starts by capturing activities and actions from owned, earned and paid channels to target the right people with the right message. Don’t waste time and resources on people who — based on their actions — will never be customers. This will increase the ROI of marketing efforts. Marketing automation tools can collect and organize a contact’s profile information. These are things like job title, company size and revenue, and even current pain points. These come from prospects filling out a lead form. Enhance this with details from CRM or other internal systems. Marketers can gather a prospect’s activity on a website or blog, as well as what content assets they download from a specific campaign. A prospect who keeps going to a pricing page is closer to a sales conversation than someone who reviews the about page one time. There are still more sources available to create a fully realized profile of a prospect. Digital Body Language is the collection of online activities used to determine additional interests, behavior and preferences of prospects. Get even more precise by layering on custom attributes to take into account things that are specific to a business or industry. And here’s where the magic happens. Now with all this data, marketers can create segments of prospects using the most relevant details and easily target those individuals. Many marketing automation programs cannot go beyond segmenting based on campaign activities. Targeting will be more successful with the ability to incorporate this broader range of online and offline behavior. Prospects go online to seek information about business solutions and products. Marketers who can provide valuable and educational information can capture their attention and begin building a relationship with them. It starts with discovery of the right content. It continues by communicating with them about things that they care about. If you don’t know what you’re saying and why, it won’t matter how many touches are included in a nurture. Nobody responds to the wrong content. Content has to be created according to buyer personas, informed by collected data. Successfully managing a large and relevant content library to support these marketing automation needs is imperative. Creating workflows for content asset creation, review and distribution is crucial to ensure that efforts are not being duplicated, enough content is being produced and content is not being wasted. Integrated content marketing tools also ensure alignment between segments and personas. Marketers have digital tools at their disposal to do things that might have seemed impossible not too long ago. They can now capture data to segment prospects and provide them with personalized content in a way that truly scales. The right content at the right time will move prospects through their journey to becoming customers. And that is the job of marketing. 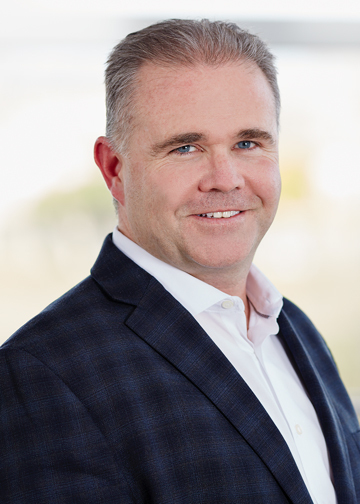 Kevin Akeroyd is General Manager and Senior VP for Oracle Marketing Cloud. He is responsible for leading all customer-facing aspects of Oracle Marketing Cloud, including sales, account management, marketing and customer support and services.